Megan Riley Clark is a 1999 graduate of James Madison University, where she was a 3 time All-American on the Dukes Division I Lacrosse Team. Megan's freshman year she was the Colonial Athletic Association - Rookie of the Year, followed by CAA Player of the Year her senior year. She was also JMU's Female Athlete of the Year in 1999. Megan was a member of the US Developmental squad for 2 years. During her 4 year career at JMU, Megan helped her team to the NCAA Playoffs 3 years in a row, falling short her senior year of a Final Four appearance. Megan was the Most Valuable Player in the North/South Senior All Star Game in 1999. She is JMU's all time leader in assists. Megan was named to the 25th Colonial Athletic Conference Silver Anniversary Team in December 2009. In September 2011 Megan was inducted into the James Madison University Athletic Hall of Fame. 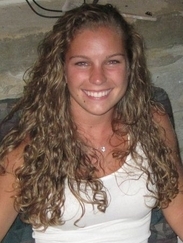 Megan was inducted into the US Lacrosse Greater Baltimore Chapter Hall of Fame in January 2013. Megan spent two seasons at Johns Hopkins University as an assistant coach before coming to Vanderbilt. During her 2 year stint the Blue Jays were 21-14 and earned ECAC title in 2001. From 2002 until 2009 she was an assistant lacrosse coach at Vanderbilt University . While at Vanderbilt, she worked with goalies and contributed to the team's offensive ideas and concepts. She helped take the Commodores to it's first ever Final Four appearances in 2004. Megan has coached 6 All Americans while at Vanderbilt, along with a nationally ranked goalkeeper who earned the All American Lacrosse Conference Goalie of the Year in 2008. 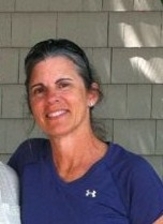 Joy Miller started coaching lacrosse in 2005 in the Nashville, Tennessee area. She began coaching at Woodland Middle School in 2005 and in 2007 moved to the high school level as a JV coach and assistant varsity coach at Ravenwood High School. She was the interim head coach in 2009 for 14 games at Ravenwood. Joy has served as the Chairperson for Academic All-American. She has been on the committee for All-American for 2 years. She is a Level 2 US Lacrosse Certified Coach. Joy has been a selector for the Tennessee National Team for 2 years and was a selector for the 2012 Under Armour South team that competes at the Under Armour Tournament held in Maryland. Joy was an assistant coach at Pope John Paul II High School and head coach for the Hendersonville Knights where her team finished an undefeated season and won the 2012 Middle Tennessee Middle School Girls Championship. She is now an assistant coach at Harpeth Hall School in Nashville. Joy has been on the TNLAX coaching staff going on 5 years. Both of Joy’s daughters, Julia Miller (University of Alabama alumni) and Jarrett Miller (Mary Mount University) are TNLAX alumni. Sasha Cielak Horrocks is a 2007 graduate of Vanderbilt University. Sasha was a member of the Commodores lacrosse team where she started all 4 years as a defender. Cielak becomes the second Commodore to earn first-team All-America recognition. A defender from Sparks, Md., Sasha was named an All-American for the third time in her career. She was a member on the first team American Lacrosse Conference for 3 years. Vanderbilt's top matchup defender, Sasha is the Commodores' all-time leader in caused turnovers. She was a Tewaaraton nominee in 2008 as Vanderbilt posted a school-record 13 victories. She was previously the head coach of the Brentwood Lacrosse team and was a first grade teacher at Old Center Elementary. 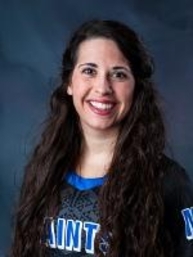 She has been coaching on the TNLAX staff since she graduated from Vanderbilt. Sasha is married to Theo Horrocks a former football player at Vanderbilt. They have a daughter Evelyn and a baby boy on the way! 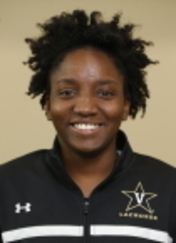 Brandi Byner is a 2014 graduate of Vanderbilt University. Byner is a TNLAX alumni who went on to play 4 years of lacrosse at Vanderbilt. She earned a starting position on defense her freshman year and held that spot throughout her career. Byner was named IWLCA All West/Midwest Region second team and was a captain her senior year. She led the defense in caused turnovers for two consecutive years. Brandi graduated with a degree in Human and Organization with a focus in health and human services. She is a 2010 graduate of Ensworth where she won state championship titles in both basketball and lacrosse. Byner spent a year at Pope John Paul II High School as an assistant varsity coach and head junior varsity coach. Brandi also was an assistant coach at Ravenwood High School. Byner comes from an athletic family - her father Earnest Byner played in the NFL for 14 years and spent time coaching in the NFL and her younger sister Kyara played lacrosse at the University of Cincinnati. Byner is a research associate with IQTalent Partners. Brandi got married to Jabo Burrow in the spring of 2016. Burrow is a former Vanderbilt football player. Jarrett Miller is a 2015 graduate of Marymount University in Arlington,VA. She graduated with a degree in criminal justice with two minors in Sociology and psychology. She will attend MTSU to gain her masters in Criminal Justice and Criminal Justice Administration. She was a four year starter as a defender for the Saints. She is a TNLAX and Ravenwood High School alumni where she was named on the regional team two years and on the State team her senior year. Jarrett also had the honor of being a member of the Tennessee National team twice during her high school career. In high school she also received Academic All-American her Junior and Senior year. Jarrett is an assistant coach at Harpeth Hall School in Nashville. She currently works for the Regional Organization Crime Information Center in Nashville. Mary Leonard is a 2015 graduate of Davidson College in Davidson, North Carolina. 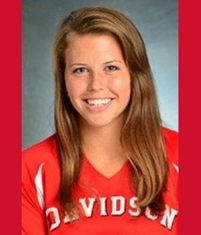 Mary played four years at Davidson and was named a Captain her senior year. She earned her degree in Psychology and with a minor in Educational Studies. She is a TNLAX and Pope John Paul II High School alumni. Mary was a two-time member of the Tennessee Women's National Tournament team during her high school career at Pope John Paul II. She was also named a 2011 All-American and two time Academic All-American. Mary spent the 2016 season as an assistant coach at Bishop Watterson in Ohio. She has taken a job at Pope John Paul II High School where she will work in the Admissions and Advancement Department and will serve as the head girls lacrosse coach and head coach of the Hendersonville Knights middle school team.